It is really crucial to keep your car in good condition to make your car more efficient and to ensure safety. Car repairs in Singapore are undeniably inevitable necessities for most people. However, finding an honest as well as reliable car repair shop is a bit difficult. 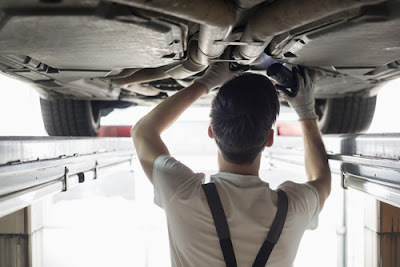 To guide you in narrowing down your search for the best auto repair shop in Singapore, we have set forth a slew of hacks that you may consider using to make sure you are hiring a good company. On top of that, these tips will help you save money on car services down the line. Read on. It is undeniable that vehicles today are very complex machines, featuring quite a few features and parts. It is worth mentioning that cars' characteristics vary from brand to brand. 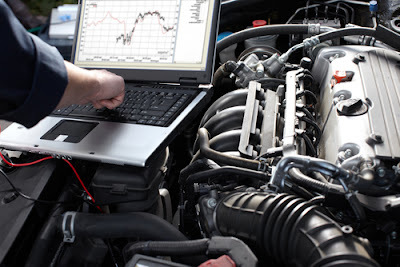 As such, it is essential that your technician has obtained a training for your car. You have to carefully check if they have the special tools and if they know well the procedures needed in fixing your car. 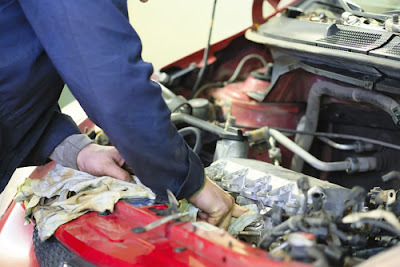 This way, you are assured that the technician can correctly service your auto. You should make sure that the employees of the shop are responsive and courteous. A responsive and courteous staff shows that they have the interest to serve you. It shows that they fully understand that a visit to their car repair shop is not a holiday for you and that they are ready to attend to your needs in a caring, prompt manner. Before you head to a particular shop in your place, take the time to check out its reputation. If you have friends who have had an encounter with them, it is wise to ask them about their services. Apart from knowing if they deliver quality car services, your goal is to establish if they treat their consumers kindly, respectfully, and in a friendly manner. You may visit forums or their website to find out reviews from their previous clients. Are they satisfied with the company's car repair services? Did they encounter significant issues? These things are crucial to determine if your prospective auto repair shop is the best choice. AS a consumer, it is your right to be more educated about your car. As such, it is prudent to ask a lot of questions to the car technician. For example, you may ask questions on how a particular technology works or why something needs to be fixed. It is worth mentioning that some shops post their pricing and labor rates in a conspicuous place. Thus, it is wise to be observant and ask queries if in case you are confused on how you will be billed for a car repair. Before you give your key to a technician, make sure you know how much you are going to fork out from your pocket. Check if a damaged component will be repaired or replaced. If it needs to be replaced, then you should expect that it will be added to your bill. Buying the OEM component and maintaining exact manufacturer specifications is crucial to achieve optimum performance. You have to make note that spending extra money on that factory-approved part can make a huge difference down the line, particularly in the car's longevity. Do not be lured by the low price of those generic aftermarket pieces. When taking your car in service, it is smart to be very observant. For example, if the car mechanic does not look you in your eyes and speed talks, you have to be very careful. This may signify the mechanic is hiding something or is just interested in your money. You do not need to be shy about getting a second opinion. Make sure to request a written estimate from the first shop. Have the second repair shop examine the problem of your car. Again, ask for another estimate. Now, compare which of the two is offering the best service at a more reasonable price. If the car repair shop is not licensed or accredited by the local authority, think twice before hiring them. This is because there are no guarantees the service will be done as you expect it to. It is prudent to only work with credible and professional technicians. When you are looking for a good repair shop, you may first ask your local network. You may ask some of your friends on Facebook, your mailman, or even the guy next door. You have to first check recommendations from people you know and you trust as they will be more beneficial and useful as opposed to trusting online critics who are anonymous. For sure, these people will tell you their go-to guys who usually deliver quality services. It also helps in determining whether the shop is the right one for you or not if the garage looks organized and neat. For example, check if the garage is well lit and if the tools look clean and well-organized. It is also a necessity to check if the cars are seemingly haphazardly parked in various places. It is true that it is an auto repair shop and things are usually going to be a little greasy or dirty. However, you can determine the shop's work ethic as well as professionalism on how they organize things in their garage and how they present themselves to their consumers. There you have it: Top tips to consider so that you are ensured that you will land in the right hands. You need to be careful before hiring one. Ask a lot of questions as possible to check out their professionalism, credibility, as well as credibility.